The Producer’s Letter lays out the area for U20; The Wastes. 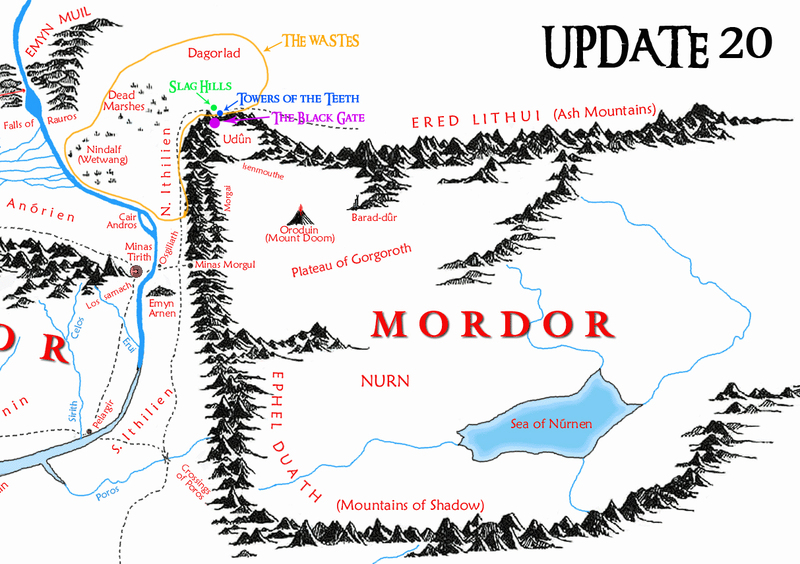 This is an area between Northern Ithilien, The Dead Marshes, Dagorlad, and the Slag Hills. 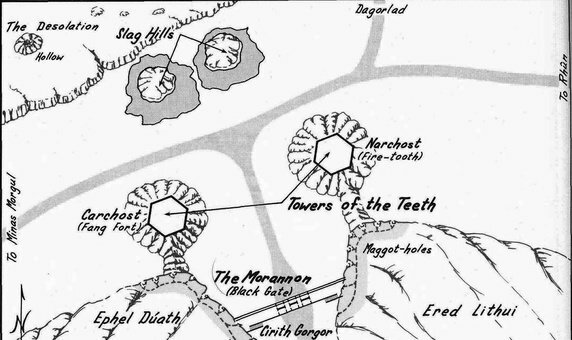 The Slag Hills is where Aragorn and his army made a stand against the armies of Mordor during the Battle of Morannon before heading toward the Towers of the Teeth. The Producer’s Letter does not lead us to believe that there will be an instance for this; perhaps it will be part of the Epic line. We can expect some classic instances (fellowship) that can also be soloed. These are being hailed as resource dungeons below the Towers of the Teeth (likely one below each tower). What resources we will be farming remains to be seen. Certainly this is the path we will be taking to The Black Gate. 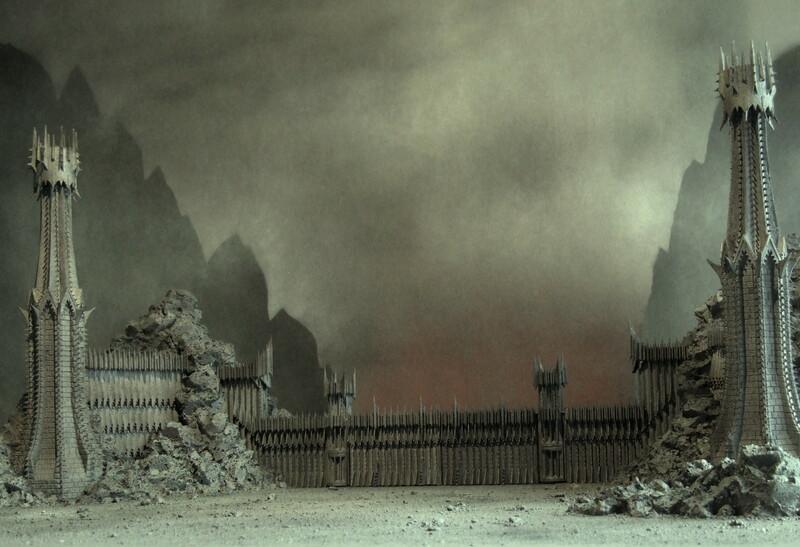 Once we reach the Black Gate it is unclear if we will witness the battle, be entrenched in it, or if this will be a lead up to the X-Pac in our preparation to enter Mordor.